The 1st stage for the Overwatch League has come to an end- it was the London Spitfire who had the honor of being placed 1st in the title matches, with players who are originally from two of the top APEX teams. Their victory wasn’t easily won however; they had to play against the NYXL again on the very same day they lost to them, and even let the opponent team take 2 sets. Things weren’t going favorably for them until birdring came forward to save Spitfire. birdring performed some of the best plays with all the heroes that the team needed- Widowmaker, Tracer, and Soldier:76. Obviously, he was the final MVP. So... Inven Global prepared an AMA with the final MVP, birdring (Ji-Hyeok Kim)! 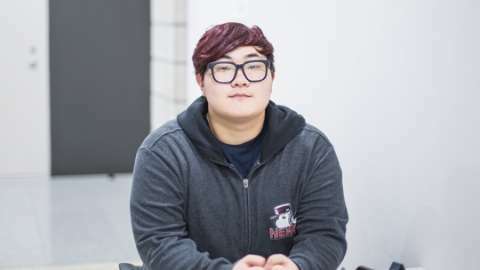 The AMA with birdring will start on February 18th 4:00 PM PST (9:00 AM KST) in the comment section below this post and will be held live for about 2 hours. The answers to all questions will be answered by birdring himself, so feel free to ask him anything you wanted to know about him! Literally, ask him anything, from his gameplay to anything personal like his hobbies. Of course, feel free to leave questions before the live AMA starts since birdring will be answering them as well! - This event is for everyone who participates in the AMA with birdring via the comment section of this post. JOIN: AMA with Pine- Ask Anything and Win Free Blizzard Balance! Hi birdring! Happy new year and congratulations on the win! 1) On the day of your win, you had to play 3 matches in one day, which must have been tiring. What was the mood of the team like going into the finals? 2) Coming off of question 1, is there anything about the format of OWL you would like to change? Why? 3) Any advice for people who have never played an FPS before? 4) Being a pro-player probably has its own hardships especially when it comes to community criticism, is there anything you would like fans to keep in mind when interacting with players/discussing about players? 5) What kind of player do you want to be remembered as in the future? 6) I recently followed your agent on Twitter, so I am curious, how did you come to decide on hiring an agent? Is there any difference between having an agent and not? 7) What's your most memorable fan experience? 8) Why the name birdring? Thank you for your time and thank you to translators and Inven staff as well. 2) Instead of having to play the title match and the finals on the same day, it'd have been better to play them on separate days for both players and announcers. 3) It's going to be hard at first, so it's all about trying hard... I mean, as for me, I've been playing games a lot when I was little, and I did play all kinds of games so it wasn't that hard for me, but if you're doing for the first time, i guess effort is the answer. 4) It was heartbreaking to see Nus get hurt by mean comments by people... It'd be nice if people could be less mean when writing such comments. 6) I did hire an agent back when I was in KongDoo, esp when I was getting so many offers from other teams, and I thought it'd be nice to have someone to help me with all these offers from foreign teams, but as you see... I eventually joined a Korean team in the end, so, yeah. 7) When our fans were telling us "It's okay" altogether when we lost against Lunatic-Hai back in the APEX? It was the most memorable for me. 8) Before I started playing Overwatch, I was a fan of Seagull, so I thought I'd choose a bird-related name; but "bird" was already being used by another players, so I began putting different nouns together with bird and sounded nice.... and I ended up with "birdring"! First of all, a big congratulations on the Stage1 Title. You had a BIG impact in those last two matches! 1) When Spitfire lost against both Houston and NYXL in week 5, it was by using an aggressive composition. For the Semi-finals and the grand finals, Spitfire reverted to the more defensive Junkrat composition and won the 2 rematches. Seeing how this build worked against Seoul, how come spitfire tried the aggressive dive comp anyways? 2) You and Profit are without a doubt the best dps duo in the league. And one of the big plusses is that you two cover the complete dps hero pool. We already knew from Apex you had an amazing Tracer, McCree and Soldier, but recently we've seen you do very good at Genji and try Pharah for a bit; two heroes you weren't comfortable at in the past. Have you been practicing a lot of projectiles lately? Or was it just a decision made mid-game because Profit locked in the hit-scan at the time? 3) I'm kind of curious to what music you like. So who's your favorite artist? Thanks so much for doing this AMA! I hope you can win the other stages as well, and take the whole league as well. 1) Well, our team was kind of confident in playing Genji, and we practiced playing Genji & Tracer comp but it was hard coz of opponent Junkrat.... I think we were able to make it by staying calm. 2) Back when I was a rookie, I played Genji and Pharah a lot, and when I joined the KonDoo, I mained in them, so I wasn't that bad at them in practice, but they didn't work out in real matchups. I personally think I can do great with Genji, although not so confident playing Pharah. A big congratulations to you and the team for the stage one victory. And thank you for doing this interview. 1) What was the first hero you started out with the 1rst time you played overwatch, and why.. was it because of the looks or the kit ? 2) Do you have to talk to yourself or motivate yourself before you pop off in games or does it just come naturally ? 3) How is Bdosin as a teammate and person, is he as funny as he looks/acts ? These are my questions, thank you so much for doing this! I will be there to root for Stage 2 and all the other ones, Fly to victory! 1) I still remember that.... the first map was Volskaya, and I picked Tracer, because I've seen many streamers who were good at Tracer back then and I thought it was cool; so I picked Tracer for the first time. 2) It feels like getting nervous a bit makes things go well in the end? But I don't really talk to myself or, you know, do that stuff to play games! 3) He's a friendly person, and real funny in person. If you meet him in person, you'll know that he is such a humorous person. 4) I have never been to Britain, but I'd like to try fish & chips coz it's famous. I hope youre doing well i have two questions for you. 1) When we are going for Genji-Tracer, Profit plays Genji and I play Tracer most of the times, but we'd do rock-paper-scissors since we both can play both heroes. Hello Birdring! Congratulations on the Stage 1 Title Match Victory! As a Kongdoo Panthera Fan, I wish you many more victories! 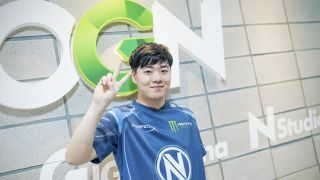 1) In terms of synergy, is Profit better or Rascal better? 2) Is KDP and GC Busan better separate or better mixed? 3) Tracer or Widowmaker tips? 4) What are some of the best OWL teams and Tracers in your opinion? 5) What do you like most about the US? 7) Do you think you are worth 2018 South Korea World Cup team? What would be your team if you could make one? 8) Will you do more amazing plays like the APEX S4 3K Nano Tracer vs NC Foxes? That was my favorite clip. 9) What do you think about the Shanghai new players and Florida new players? Thank you for answering my questions and good luck in Stage 2! Although I am sad about the departure of Rascal and Fissure, I know your team will still prosper. Fighting! 1) It seems like Profit for now...? But really, I don't mind whom I'd play with since I'd pick and play to the style of others. 2) Of course, it's best to have them mixed. I think everyone is doing well altogether. 3) As for Tracer, using Blink well will make you a better Tracer, and as for Widowmaker, where you position yourself is really important. 4) Profit from our team and Striker from the Boston seem to play the best Tracers. As for teams, maybe the Boston? 6) Even though they moved to other teams, but we practice in the same building so we'd see each other in the hallway or something. 7) I don't think I'm doing that great to be selected for team SK for OWWC but I'd love to play in the team... but then I think it's kind of burdening at the same time? I'd like to have a team where everyone in the team is happy and doing well together? 9) They are popular players in South Korea and they're skilled at the same time, so I just think the teams will become more powerful?? Hello Birdring! Who are some of the best tracer duelists in the league? How would you say their style differs? Profit is good, and Striker was the one I had to keep my eyes on since he seems to play Tracer real smarter than other players do. Birdring, welcome to the US. What has been the most pleasant surprise in moving to California? Who do you think the top 5 DPS players in the world are? Not including yourself, because you'd make anyone's list! @Melissa_M Profit, Hooreg, Fleta, Pine, and Striker? Hello Birdring, congratulations on winning OWL stage 1 !! 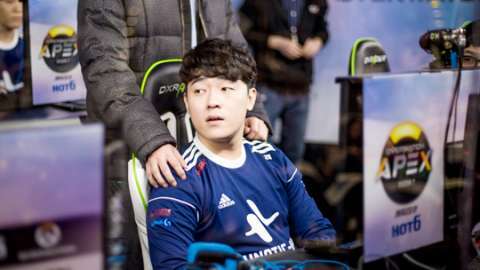 1) When did you first play with Rascal on the same team, was Apex season 3 the first time you played together or did you use to play for the same amature team ? 2) After the huge success and reputation that Rascal x Birdring brought, why did we see a different dps duo in the OWL form Spitfire ? was it due to scrim results ? 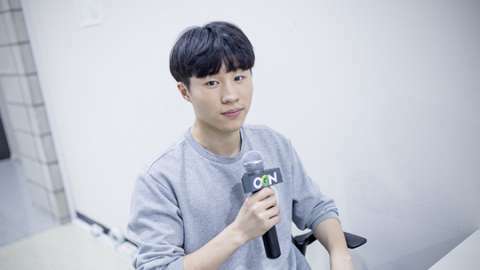 "given that Rascal x Birdring is way more versatile"
4) What is one thing that is in Rascal x Birdring duo that is not in Birdring x Profit duo ? 5) Do you think Wakawaka, Void, and Luffy could be picked up for an OWL team ? 6) Within the Rascal x Birdring duo, would you say genji tracer was your best combination ? 7) How is your synergy with Profit compared to what it was with Rascal ? 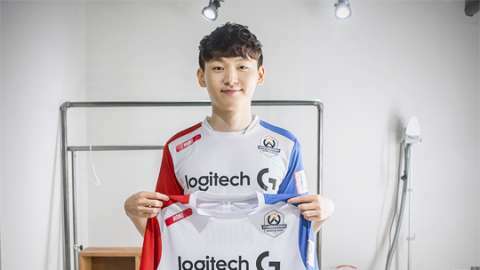 1) Fleta was the one I played together on the amateur team, and then it was Rascal I played with, though there was time we couldn't due to my injury, but we came together and were able to practice again. 3) I hope that they'd do great in other teams, and I think it's nice if we could come together again future, and I'm also curious about what synergy we'd bring if all the old members from KDP came together play once more. 4) Profit and I can't play heroes Rascal could play as well as he does, but we did so well together with our Genji and Tracer. But of course, Rascal is a great player, too. 5) As for Wakawaka, I don't know much, and Luffy tries so hard so I'm looking forward to it, and as for Void, he is good so I'm also looking forward to him joining the League as well. 6) As for Rascal, he's one of the most scariest player when he'd doing so well, so the Genji&Tracer comp with Rascal was great, too. If OWL hadn't started and there was an APEX Season 5 who do you think would win? Upcoming teams like Element Mystic or established top teams like LH or KDP? I think the competition would have been real intense, but I did want to win in South Korea so I'd have done my best to win. Happy Chinese New Year and congratulations on HUGE and well deserved win. 1. You mentioned Seagull being an influence, most notably in your name. Do you have high expectations for him and the rest of Dallas Fuel coming into stage 2? 2. With hero 27 being "meta-changing" which is most likely something related to anti-dive, are you and the rest of London Spitfire preparing for the impending release of this hero? Do you have any predictions on what comps may rise from it? 3. On the topic of London Spitfire, with Fissure going to Gladiators and your long time KDP DPS partner Rascal heading to Dallas, do you think they'll make these two teams more of a challenge or perhaps even stronger than some of the current top 4 teams in the league? 4. Do you have any players in OWL who you think is an undiscovered gem (someone who isn't really a star but has the potential to become one given the chance)? 5. Do you have a personal favourite map? If yes, is it because of the team comps you could run and/or the design, ambience and soundtrack? 6. Do you have a guilty pleasure hero (a hero that isn't in your normal, tryhard hero pool) that you'd like to bring out in a match some day? 7. Do you think we'll be seeing any Runaway players coming into the league during the mid-season signings or perhaps all the way in season 2? Do you think they will be bought in as a full team? 8. What do you think of Pineapples on pizza? How do you feel about Spitfire fans which were disappointed about the lack of players from the UK? Hey Birdring! Since Apex season 3 when you joined Kongdoo Panthera I fell in love with you and Rascal, who became in my eyes the greatest DPS duo in the world. How does it feel to leave Rascal after going through so much together? Also who would you say your best friend on London Spitfire is? Thanks! @yawningfirefly We did so much together, me and Rascal, so I'm so sorry about that. Everyone on the team are close, but Profit, I guess? I always thought of you and Rascal as the best DPS duo in the world. He wasn't used very much in Stage 1. Nonetheless, how does it feel for that era to be over? 'm rocking my london spitfire skins in comp, hope you guys continue the success! 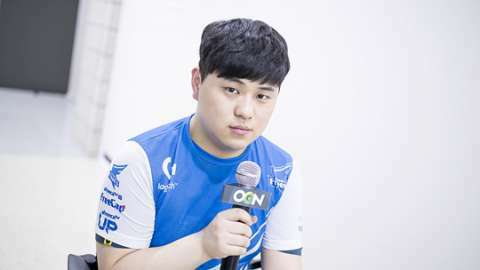 1)Rascal and you were considered one of the best DPS duo, but since the start of the OWL your new partner its Profit, did you miss play with Rascal in official matches? 2) Are you more closer to Seagull now? if not, What are you waiting for men!? hi birdring! happy new year and hope that you got a chance to eat lots of good food and take a rest after stage one! 1. is there anything you miss about not playing in korea/with kongdoo (uncia or panthera)? 2. what is the biggest difference playing against mostly western teams like houston or dallas? 3. how was it like trying to integrate the busan and kongdoo rosters? did you try many combinations before deciding on the current one? 1) As the London Spitfire is so large, with 4-6 other DPS players trying to get a spot in the team, do you feel that the competition within the squad helps your own performance both in training as well as when out on stage? 2) Are you looking forward to potentially being in London to play your games, and excited to see what it's like to live there? Thanks for your time for doing this Ama! 1) Having someone to compete against helps get better, and I think it's good in that way. 2) I think it's going to be great, visiting several places in world, so I'm looking forward to going to London, if there's any chance. If there was any other competitive game since even before eSports became popular that you think you would be a part of the community, which would you say would be the one? Hi Birdring, Congratulations! How much time do you spend practicing or training to get this good? I practice 6~8 hours a day as a team, and although we can stay late to train personally. What is your favorite moment or play that you made in stage 1 of the Overwatch League? Winning recently? I mean, i have never won in professional tournaments big enough be part of my career before so I'm so glad we won the title match! I remember not knowing anything about your team before the first couple of games, and a lot of people I know didn’t know who you were. Now however, you guys have proven superior to most teams and I wonder how it feels, this might be a stupid question but I’m curios. @Megalomaniac I mean, I was kind of well-known in South Korea, but now that people all around the world knows me, it feels great! Hey birdring! What players in OWL have surprised you most with their performance? Is there anyone who you think is underrated? If you could pick one player that you consider the most threatening to your play style, who would you choose? Any other Tracers that felt threatening when I was playing Tracer was... Striker. Hello there Birdring, thank you for doing this AMA! Congrats on your stage one victory and I was so glad to see you play agasint Seoul, I'll hopefully see you on the 22nd and 23rd live yet again! I was wondering though, seeing as you're playing in North America for the first season of the league and assuming you stay on the team for the next. How do you feel about setting up an arena in London and playing with fans in the city your team is representing? Do you think that the model the overwatch league has set up, with city based teams, is good for the league or negative in the long run? As a Londoner living abroad, I can tell you I'm already quite proud of you guys as a team, but I'm not sure I can relate that to those whom are living in the city. With your recent transfers, which some seem to speculate as Fissure and Rascals lack of play time, do you believe that having four team mates on the bench at any time will allow you to play strategies like you did agasint Seoul again effectively? And what do you think is the best amount of team mates one should have in the OWL? 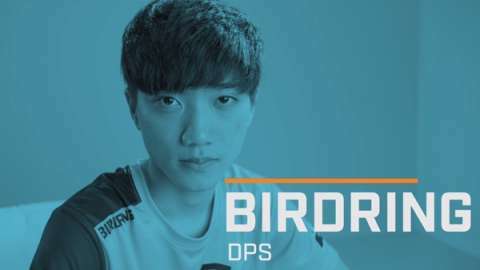 Thank you for your time Birdring, I'll be sure to cheer loud and proud for you guys live and at home in Stage two. 1. I heard you are friends with Fleta & you got into the Kongdoo organisation indirectly because of him. The both of you have come a long way, how does it feel to be able to play against him in the OWL now and who do you think is the better dps player between the both of you? 2. Now that you’re in the US, is there anything about Korea you miss? 3. Why did you decide to be a dps player in the first place? Are there any heroes in the tank(besides Roadhog) & support category that you are good at? 4. Which other tracer players in the OWL do you think is the toughest opponent to play against? 5. Are you practicing for the new meta and do you think we’ll see more different variety of team compositions in stage 2? 6. How do you practice your aim and what advice do you have for people who wants to improve on heroes like tracer and widowmaker? I’ve been a fan and watched you grow and improve as a player since those Kongdoo Uncia days. Thank you for doing the ama and good luck in stage 2! 1. Why do you think London struggles on control maps? 2. What do you think needs to change to improve for Stage 2? 1) I don't know...? I mean, everyone was great during practice, but I'd like to know why we struggle on control maps. 2) I think we'd need to improve on what we weren't so great in... like control maps like you mentioned. Or work on team work? I guesS? Any other games you play apart from Overwatch? @FlaminWalrus I used to play PUBG when I wasn't practicing back then, but I like to play indie games nowadays. I think SBB is great... I guess Widowmaker for waifu...? Nothing special but practice against bots in the training mode then I move on to practicing against real people. Hey Birdring! What position do you think you would have the most fun in, if you just played for fun. Hi Birdring! What other games do you play besides Overwatch? Hey Birdring. Do you watch other esports games? If so, what? I'm always mind-blown when I watch you play, and I wish you and the team all the best for Stage 2 and beyond! That, I'd like to know. I haven't measured my height for almost 3 years now. I think I'm almost 170cm or over. 1. Which DPS from other teams give you the most trouble? 2. Who do you think would win a Tracer 1v1 tournament? 3. Can you name any players not currently in OWL who you think deserve to be in it? 4. What trait do you think makes you stand out the most from other DPS players? What other teams are you wary of in Stage 2? Are you confident the Spitfires will win again? London Spitfire shall win again- I crave for more victories! 1. When you played with Rascal in Kongdoo, did you think you guys would stay in the same team forever? 2. For Hero 27, would you want a new support, tank or dps? Hi Birdring, What are your long term goals in Overwatch? Get as many wins as I can? I mean become the player with most wins! Hey birdring! Congrats on your stage one victory! 1) You are considered to be one of the best dps for a while(since apex), and with your insane owl stage 1 playoff performance so many people started to recognize your skill without a doubt.. I know this is something you've been wanting for long and you seem to have it now. how does it feel to be one of the best if not the best dps player? How does your friends and family feel about this? 2) I know you and fleta are good friends and i saw you at a stream, playing with carpe having fun while scream together and it was funny to see your bubbly side as well as your calm and focused attitude on stage. I know you guys scrimming, rooms nearby to other teams. how is your relations behind the stage with other players? And which players are you close to? 4)Do you like anime? If so which one is your favorite? 5)What is your favorite American food? 6)What is your favorite Korean food? 8)This is not a question more like a request. i hope you can stream more frequently. I know you guys are so busy but like one stream for every 4 or 5 week(with facecam) would be so good for us, your fans. I would preciate if i could find a place to show you our support. During the season who did you find the most challenging or surprisingly difficult teams to play against. Who would you say would be the best western dps and team? Good luck from London, you are an absolute god! Hi birdring, im a huge a fan. My main question is does a lamp show light or does it SUCC dark? Also can you please tell nus to reply to his twitter dm's?, I asked him the same question and he didn't reply. Among your team, how do you think you rank looks-wise? 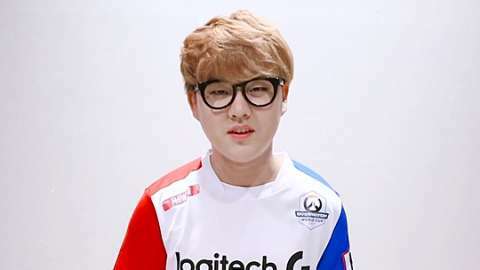 My question is, what do you think about geguri being the first female to make a place for herself in the overwatch league? And do you think that more females will begin to have a place in the overwatch league teams? Hello! I knew geguri is a great player so I kind of knew she'd make it to the OWL, but I don't really care about her being the female player... I mean, the gender doesn't matter when it comes to skills. So I think there will be more female players in the OWL in future since I heard there are many female rankers in NA. Firstly, congratulations on winning stage 1 of the OWL and thanks for always giving us Spitfire fans something to cheer about, win or loss. Here are a few questions I have and I cant wait for your response. 1) How were you and your team feeling after the grueling 9 map series against Lunatic Hai in the Apex Season 3 Grand Final? 2) Upon dismantling Seoul Dynasty what did you and the team do to fix how the team played and what did you see in Seoul that you could exploit? 3) Finally, what did your parents think of you taking up pro gaming as a career? Thanks for taking the time to answer mine and others questions and continue to be the god that you are. Hey Birdring! First of all congratulations on the win to you and the team! I know you are going to have a lot of overwatch related questions so I want to ask you different things. 1. What do you do in your spare time like hobbies? 5. Do you have Instagram? I would love to follow you. 7.Do you have snapchat for fans to follow? I would love to add you on their too! 8.Do you get nervous coming out on stage before an overwatch match? I could ask you a million questions but I will keep it short and sweet. Thankyou for the AMA! Good luck in the oncoming matches. I will be cheering you on ALL the way! Go London spitfire! ???????? Hi Birdring! What do you think of the roster changes happening before Stage 2? Do you think other teams are getting stronger? I'm keeping my eyes on the teams Rascal and Fissure joined since they both are great players, and I'm looking forward to how Shanghai does better in Stage 2. Congrats on the Stage 1 title and MvP of the finals. You deserved it! Could you explain why you chose the number 20? @Shusaku Because I'm 20 years old in Korean age? well, it's kind of hard to name all players for a 6-man roster, but I'd certainly want my team to have some players from the team Seoul. Hey, Birdring, you and the entire Spitfire crew did great this stage! What type of ability do you think would be cool to see in a new hero? A DPS hero who gets more HP when using their ult like Winston does? I heard you have a British culture consultant on your team. What have you learnt about life and culture in London so far? Food, mostly? Little bit of culture, I guess? Congratulations on Stage 1 champion! How do you feel that Rascal moved to Dallas and Fissure moved to LA Gladi? Hey Birding, Huge fan, I'm someone whom has a giant dream of becoming a pro player, I put many hours into the game and vod review everyday however I'm having some troubles maintaining a daily life as well as following my dream. How did you overcome this yourself and how was your path to pro in comparison. Thank you so much and I hope you take the stage two champions like you did with the first! There are things I had to gave up to become a pro... like meeting friends, school life, etc... There are things you'd need to sacrifice to follow you dream. Birdring! You actually didnt end the game ‘Haang-ah-ri’, ‘getting over it ‘at your streaming. Is there any plan to win this game at your streaming? Ae-song-E? I actually don't plan to play that game ever again. I was such a great pain to play that game... But if there's any other new games similar to it, I'd love to play them! 1) If you could be a LoL pro now, which position would you play and what champion would you want to be famous for? 2) Who is loudest person on your team in the practice room? 3) If you had to fight 1 horse sized duck or 100 duck sized horses, which would you rather fight? Do you think you need tracer nerf? If you would answer these questions to best of your ability I would be very grateful. 1) when it comes to playing against other top level teams what are the factors which are important to win apart from mechanical skill. Hi birdring, my name is Oliver and I am a huge London Spitfire fan and you are by far my favourite player. Also a big well done on the Stage 1 win, what a game that was! I hope you get many more victories over the next stages as well! Why did you chose the name Birdring? What made you want to become a proffesional Overwatch player? Who was the toughest team that you went up against in the OW league? What was you’re most memorable experience during Stage 1? What kind of player do you see yourself as? And finally what are you’re thoughts on Gesture as a person and an Overwatch player? 1) How do you feel about the recent transfers of former KD teammates, Fissure and Rascal? Do you think they will well adapt to the new teams? 2) If you can bring one player from other teams to your team, who do you want and why? 3) Who was the scariest player for you to play against during the first stage? How do you feel about being the Stage 1 MVP? Does that put any extra pressure on you going into stage 2? Congratulations on winning stage 1 . 1. You and profit have very similar hero pools and you both have played a lot of tracer , how do you decide who will play tracer does it depend on the map or is it just whoever wants to ? 2. Who was the toughest dps player that you faced in stage 1 ? 3. Who do you think is the best player not in the overwatch league? Best of luck on stage 2 !!! did you ever get a hug from Seagull? and will your ever wear your glasses again? ???? Hey birdring! Congrats and happy New year! I have couple questions. 1- How did you come up with your gamer tag? 2- How much do you practice ever day/week? 3- Who is your overall favorite chatertor to play as? First, I'd like to congratulate you on winning the stage 1 title matches. I have two questions: have you hugged Seagull yet? and, how will it be to be on a team without Rascal? Good luck for stage 2! What mouse settings do you currently use for widowmaker? Hi birdring! Congratulations on the amazing win in Stage 1! 1) In terms of the win, what did you and/or the team do to celebrate? 2) Coming from APEX, how do you feel the atmosphere of the OWL compares in general? 3) What does a day in the life of birdring look like? 4) If you had to pick one team outside of London Spitfire to support in OWL who would it be and why? Thank you so much for the amazing performances you’ve put in so far, and can’t wait to see you and the rest of the Spitfire team back for Stage 2! !